drainfield have heard of the requirement to carry out percolation tests to test the porosity of the soil. However, percolation tests are NOT the first site test that needs to be done - they are the last. The first test that needs to be done on site is to determine the highest level of the water table - the Trial Site Assessment Hole (TSAH). If this test fails, then it is pointless doing the more involved percolation tests as you will not be allowed to install a soakaway anyway. After it has been determined that the site is NOT in a Groundwater Source Protection Zone, (ring us to find out for you) the first test done on site, as part of the Building Regulations and BS 6297 2007 requirement, is the Trial Site Assessment Hole. This test is to determine the position of the groundwater table and is essential, because if the groundwater is too high, there is not enough unsaturated soil under the soakaway pipe to soak the effluent away and the tank will fill very quickly. In the worst cases, groundwater can be so high in winter that it flows back from the soakaway, constantly filling the tank so the position of the HIGHEST groundwater level must also be determined. Every winter, the water table rises. It goes down during the spring and is at its lowest during the summer months. As the water rises, it carries with it minerals from deep below ground level. These then oxidise when the water recedes and a 'Tide-Mark' band is created. The tide-mark is left in a mottled band which is brown/grey in colour, sometimes interspersed with dark brown mottles. This band can be from 200mm. up to 1000mm. deep. If you see this within the trial site assessment hole, then the water table is too high in the winter and you will not be allowed to install a normal drainfield soakaway as it will not work. If this is the case, telephone us for advice. "The trial hole should be a minimum of 1M² and 2M deep, or a minimum of 1.5M below the proposed drainage field pipework. The groundwater table should not rise to above 1M of the invert level of the proposed effluent drainage pipes"
In other words, at all times, the water table must be at least 1M below the soakaway drain-pipes, even during a wet winter season. This can be determined by looking closely at the soil on the side of the hole. If you can see the mottling band, then you cannot have a soakaway. Why have I not heard of this mandatory test before? This is a very good question and one we ask ourselves every day. The TSAH has been the first mandatory test for determining if a soakaway can be installed since the year 2000, yet no commercial website or brochure mentions it - not even Klargester's Guide to Building Regulations for soakaways. It may be because percolation tests were mandatory for years before 2000 and others have not caught up with current legislation, but the TSAH has been mandatory for a long time now and for a very good reason. The level of the winter water table is crucial to the performance, or not, of a soakaway in winter or during wet seasons at any time of the year. Do not omit it as part of your site investigations. What if the site fails the TSAH and I have no watercourse to discharge a sewage treatment plant to? WTE Ltd. may be able to design an above ground artificial soakaway mound, if you have enough land. This mound raises the pipework to more than the required 1M distance between the highest winter water table and the drainfield pipework. 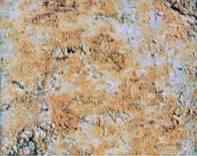 It is a specially designed construction using different grades of stone, sand, soil and membranes. It is our own design after years of trial work, has a copyright, and is acceptable to the Environment Agency. However, the mound still has to be a minimum of 15M away from any building, the same as a normal soakaway and is likely to take up over 80M² of land. It must always be remembered that some sites simply cannot have sanitation, so make sure that the TSAH is done as well as the percolation tests BEFORE you buy the plot or property needing refurbishment.